Another travel agency that has come to my attention in the past year or so thanks to comments and forums that I am part of is Discount Vacation Hotels. 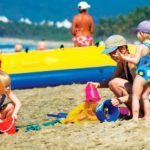 There seems to be some confusion as to whether or not Discount Vacation Hotels is a scam or a real travel agent. The simple answer to this questions is that Discount Vacation Hotels is not a scam, but let me explain where the confusion occurs. Many people will arrive to the Discount Vacation Hotels website and see the cheap package deals for both all inclusive and room only accommodation in some of the top destinations in Mexico and wonder how the prices can be so low. They would be wise to be cautious as many scams are just that – too good to be true. However, there are reasons why Discount Vacation Hotels can offer such low prices to households that wish to take a vacation in Mexico, with no sign of scam. Firstly, Discount Vacation Hotels is free from the label of scam because you certainly receive the package deal that is offered on the website, and one of the reasons why Discount Vacation Hotels can offer such cheap package deals is because they specialize only in Mexico vacations. That is, they can find you the ultimate best deals with tried and tested hotels and resorts. The bonus that comes with specialization is that the agents that you speak to are very knowledgeable about the destinations promoted through Discount Vacation Hotels, which include Cabo San Lucas, Loreto, Puerto Vallarta and Cancun. The main reason why there is no Discount Vacation Hotels scam is because there is a genuine incentive for the discounts. In return for the cheap vacation package prices promoted by Discount Vacation Hotels, guests will be required to attend a sales presentation. While there is no obligation to buy anything, anyone who books a vacation package with Discount Vacation Hotels will have to go to the sales talk when they arrive to their destination. 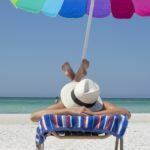 Knowing this, the really low prices offered for vacation packages makes sense and explains why there is no danger of a Discount Vacation Hotels scam. Therefore, it is safe to say that Discount Vacation Hotels scams are not at all likely. Share the post "Discount Vacation Hotels Scam"
What is Discount Vacation Hotels?